I went to a great show at Fulton55 the other day featuring The Yesberger Band and Shaphill Jazz Project. Fulton55 was an awesome venue, it holds up to 600 people but still feels very intimate. There are two floors with brick walls, fun art pieces hanging and a balcony area where you can look straight down at the band. I saw this youtube video of The Yesberger Band and liked their pop jazz sound. The trio had great energy and even opened for the Temptations this summer! Shaphill Jazz Project includes six members and all are equally talented and visibly passionate about Jazz. After watching these bands, I felt inspired to start playing the piano again! 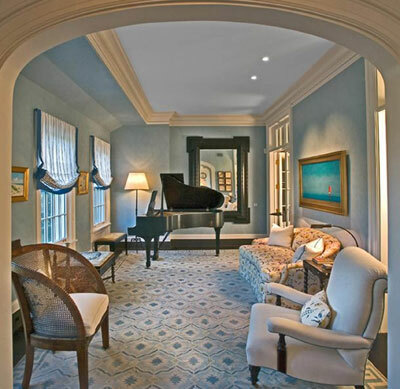 I'd love to have this music room!